Stronger ruble gives boost to cross-border shopping. 20,640 border crossings were counted at Storskog checkpoint in February, up 18,3% from the same month 2016, a leap year with one more day. This is the seventh month in a row with increase in border traffic between Russia and Norway. The current rise in border crossings follows a two and a half year with decline from January 2014 til July 2016. Head of Police at Storskog checkpoint, Stein Kristian Hansen, writes in an email that the increase counts for all kinds of travelers, especially people with visa, but also Norwegians and Russians traveling without visa under the special regime designed for citizens living less than 30 kilometers from the border line on each side. That includes the towns of Nikes, Zapolyarny and Kirkenes. Russian ruble has gained value against the kroner in what gives a boost to cross-border shopping. Especially on Saturdays and other days off in Russia, cars are lined up at Storskog checkpoint. The February increase in border crossings is twice the 9,3% growth seen in January. Peak month was December 2013, with 33,099 border crossings counted. 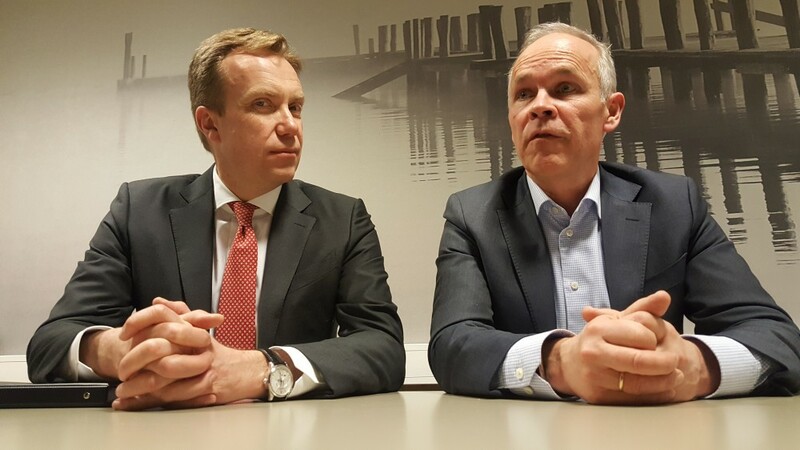 Visiting the Norwegian border town of Kirkenes in February, Foreign Minister Børge Brende and Minister of Local Government and Modernisation Jan Tore Sanner said nothing is yet decided regarding the long-awaitied and highly needed new border checkpoint. The current buildings and infrastructure are from the early 1990 when traffic was one-third of today.